You'll learn about all of these tactics and more in this short brought to you by the good people at the Falstaff brewery (who definitely didn't take every opportunity to stick their brand name front-and-center). Yes, those wacky teenagers are out to put you, the honest, hard-working convenience store owner out of business and behind bars. But you can fight back! 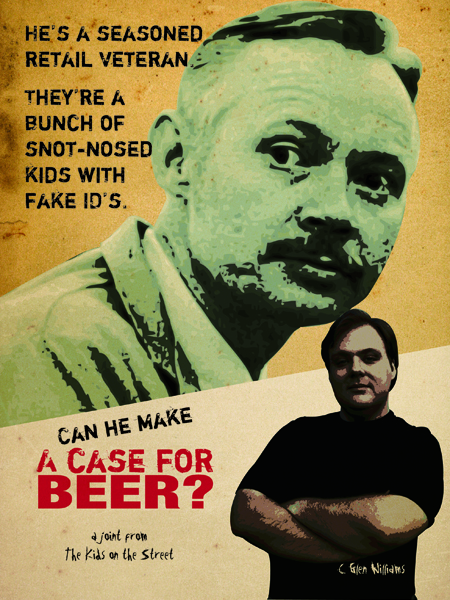 Learn how, as Glen Williams of The Kids on the Street examines "A Case for Beer!"